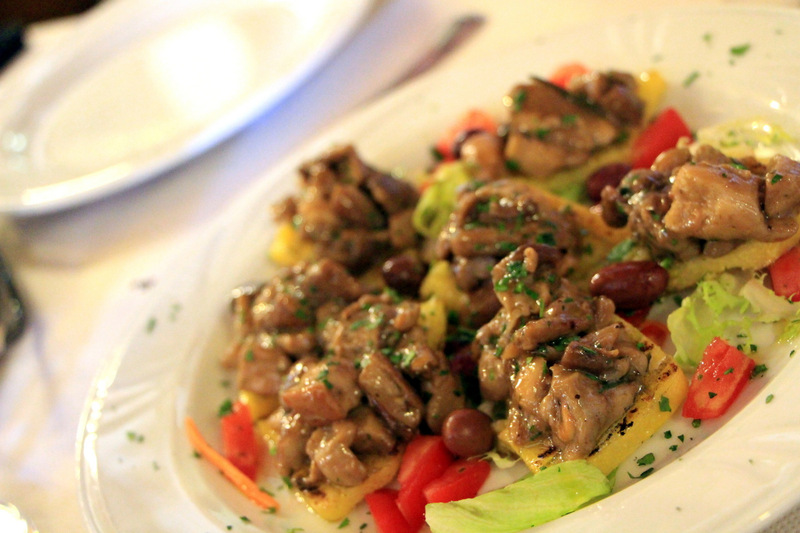 I don’t know why it took me so long to write about La Tellina. Its not like I was busy writing about more important things. But the truth is this was a memorable and fun lunch. Picking this particular one I remember wasn’t easy, as I wasn’t able to find many bloggers or Chowhounders out there talking about Siena. But as much as I prefer not to follow TripAdvisor forum recommendations, I’ve decided in this case to trust the Siena expert with a pizza avatar from Alaska. Forum helpers with food, wine glass or Borat icons usually know their food. Do not trust those with cute animals or pictures of their babies. 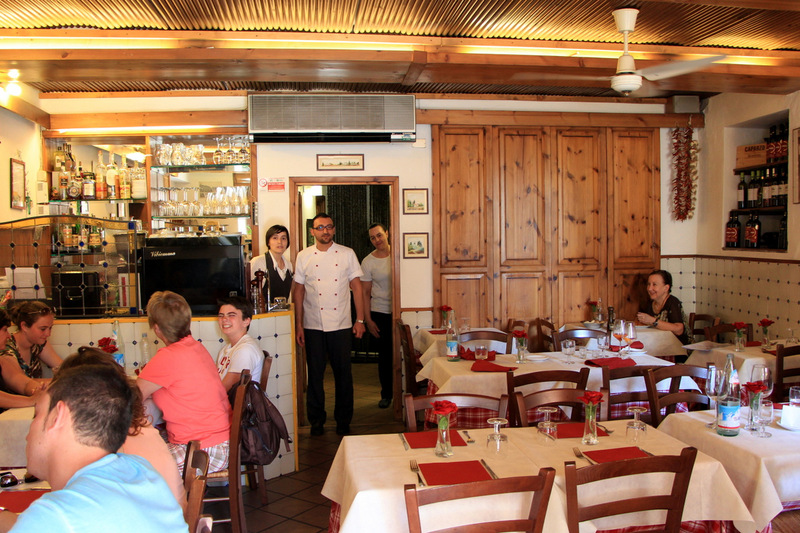 If you look at the dictionary for classic family trattoria, you may see a picture of La Tellina, inside and out. Husband cooks, wife serves, and sister and mistress are in the act as well, if I understood correctly, not really sure. 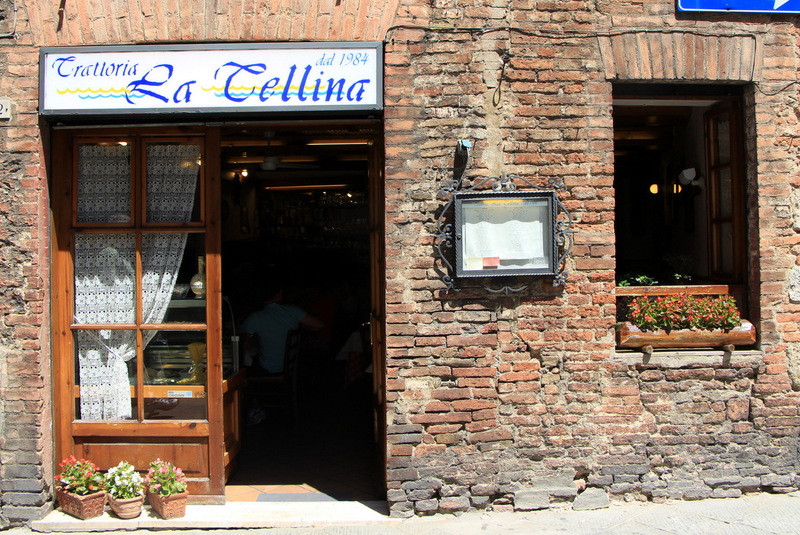 La Tellina specializes in seafood and cuisine from the south (cook from Naples) which was completely fine with us after a Pici filled 4 days in Tuscany. 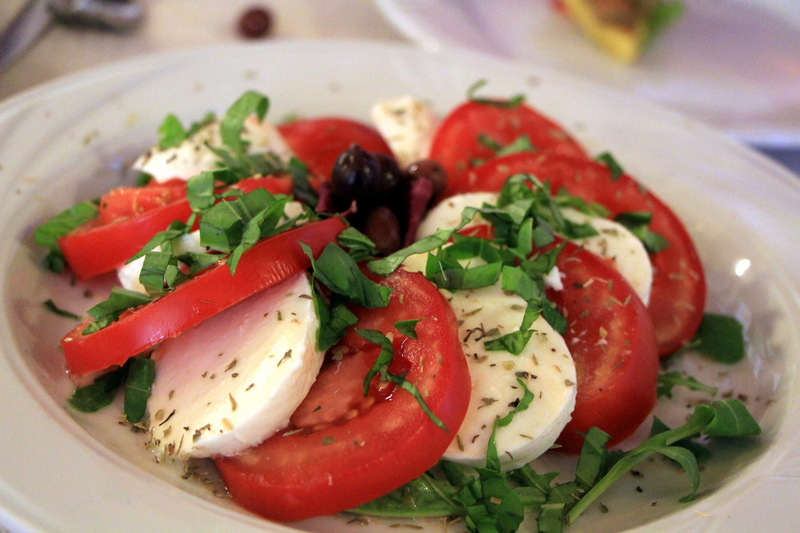 We started with a fine and refreshing Caprese salad. 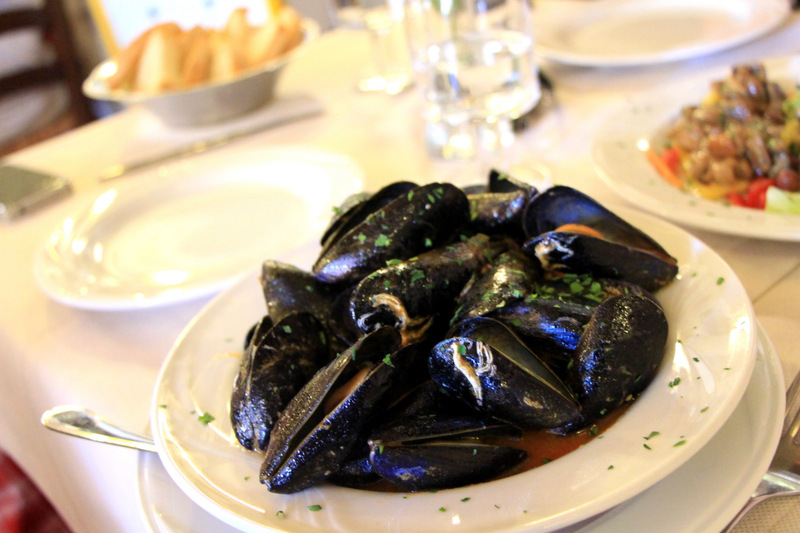 Absolutely fantastic fresh mussels with “I’m not washing my hands anytime soon” addictive sauce. I was dipping everything in there including fingers and car keys. Grilled polenta with some of the best tasting porcini of the trip was spot on. 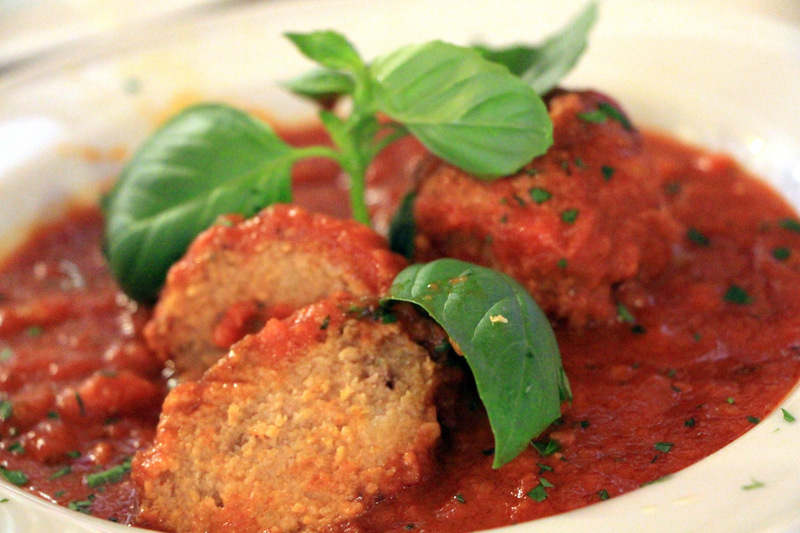 Homemade meatballs were as solid as traditional meatballs can get. I live in the meatball capital of the world and these were some great melt in your mouth balls. 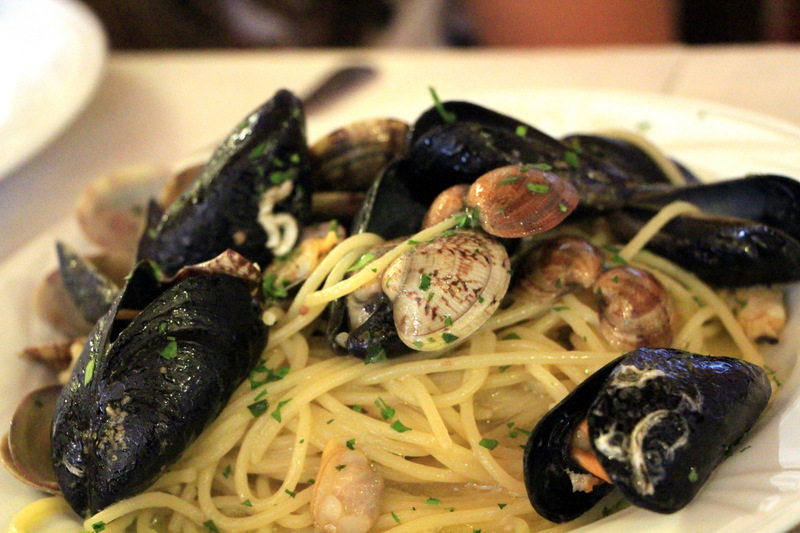 Spaghetti with fresh mussels and clams – garlicky, packed with flavor. 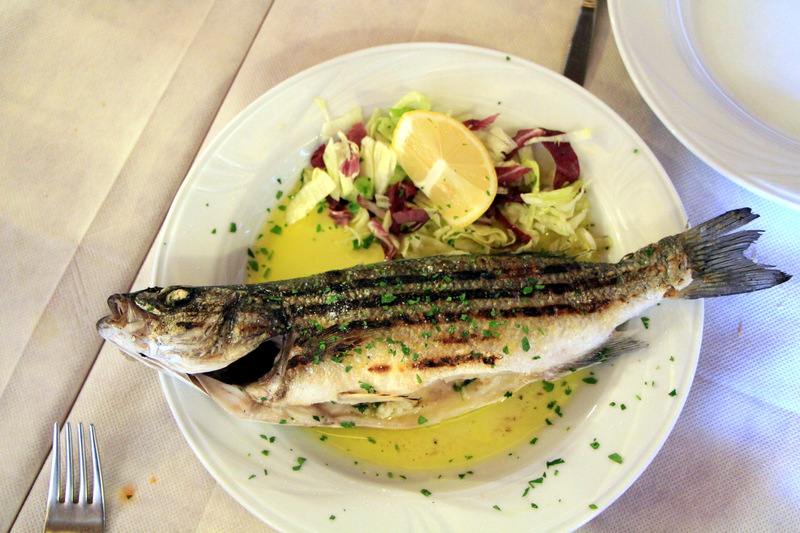 Simply grilled whole sea bass was perfectly cooked. We love to grill whole branzinos at home and this one was better than we ever did.